Bob Casey and Sherrod Brown landed some blows about OneWest Bank’s foreclosures, but too many got lost in a tangle over tax havens. 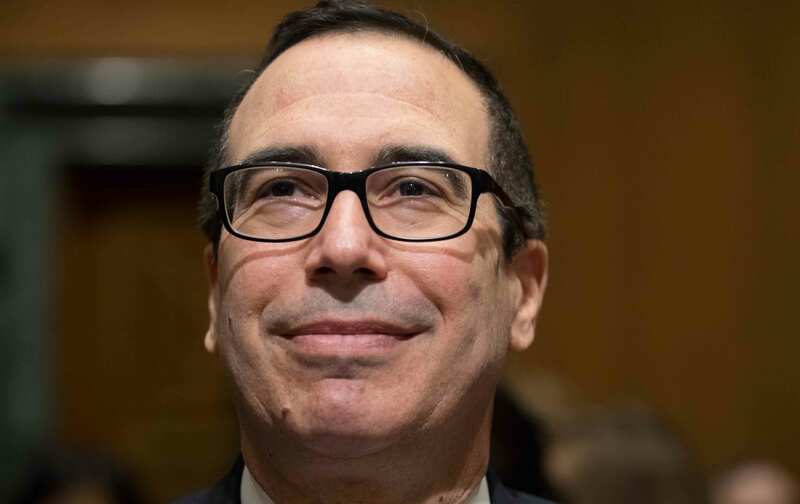 Treasury-secretary nominee Steven Mnuchin came to the Senate Finance Committee hearing room prepared to fight a war about foreclosures issued by OneWest Bank when he served as CEO. His only weapons were half-truths and outright lies. But you go to war with what you have. But instead of taking up this line of argument, Democratic committee members pummeled him over the tax haven, asking again and again about why he would have to incorporate the fund overseas and whether he personally benefited from tax evasion. Mnuchin’s answer on this was a little weak. He admitted that he didn’t have an office, employees, or customers in these tax havens, but he seemingly argued that he incorporated in the Caymans only to benefit other groups like nonprofits and pension funds, as if that makes it all better. But it got bogged down into an arcane discussion of hedge-fund rules and tax law, when there were literally thousands of human stories, of people who lost everything they had at the hands of Steve Mnuchin’s bank, waiting to be discussed. Too few Democrats took the opportunity. And this is a familiar pattern, because of the troubling failures of the Obama administration to deal with foreclosures. Yesterday’s unofficial forum with foreclosure victims was the first appearance of homeowners on the Hill in years. Part of this is a jurisdictional problem. Mnuchin gave testimony to the Finance Committee, the main tax-writing body in the Senate. These senators are simply more comfortable with discussing taxes. But the more damning part of Mnuchin’s record concerns how he treated customers in foreclosure. The Banking Committee would have been much more comfortable discussing these issues. But that’s not a good excuse to blow up the hearing strategy in the last 24 hours. However diminished, the OneWest line of questioning clearly got the most under Mnuchin’s skin. Let’s first point out that Mnuchin’s alibi is deeply misleading. He claimed that OneWest issued over 100,000 loan modifications. Later, he couldn’t identify how many foreclosures OneWest committed, so his recall isn’t all that great, but he was definitive here. The number appears to come from this Treasury Department report from July 2013, but the 100,000 number refers only to “trial plan offers extended” under the Home Affordable Modification Program, or HAMP. That does not mean that this trial plans were approved by OneWest. At the time only about 36,000 were active modifications, and that doesn’t count loans that later re-defaulted because the modifications weren’t any good. So for every modification Mnuchin touted, two-thirds of them didn’t go through. Senator Bob Casey pinned Mnuchin down on this. “Modifications extended is not a permanent one,” Casey said. Mnuchin’s evasions got no better after the opening statement. He claimed that banks were “highly incented” to modify loans rather than foreclose, because they make more from a modification than a foreclosure sale. But OneWest did not own the loans, as Mnuchin later admitted. Only 7 percent of the portfolio it got from IndyMac were the loans themselves. The rest were made into securities and sold all over the world. OneWest was a servicer, which handled day-to-day operations on loans other investors owned. OneWest made the decision on whether or not to modify loans, and there are simply incentives in the servicer business model to foreclose, as the National Consumer Law Center reported long ago. HAMP gave financial incentives to services to modify, but they were far smaller than the business-model incentives to foreclose. And that’s borne out by OneWest’s foreclosures, as attested to by numerous victims. Then Mnuchin argued that OneWest was blocked from offering loan modifications, but that’s completely at odds with his statement that loan owners were “highly incented” to modify loans. Why would loan owners block modifications that would help their bottom line? This is a well-worn excuse from servicers. The best defense for Mnuchin was the Obama administration’s own difficulties. Committee chairman Orrin Hatch constantly brought up Jack Lew, the current Treasury secretary, who also had holdings in the Cayman Islands and who also worked at a big bank, Citigroup, responsible for the mortgage meltdown. Hatch pointed to the failures of HAMP to meet its modification goals, asking Mnuchin, “Was Tim Geithner a predatory loan modifier?” Sadly, he was, though the reason for HAMP’s failure is that it put total discretion in the hands of servicers like OneWest. But it’s harder to get a clean hit on Mnuchin when the administration neglected the foreclosure issue and failed to crack down on OneWest and others. This effectively rehabilitated the reputations of people like Mnuchin, who then may be placed in a position of power. Mnuchin didn’t mention the name of a single victim in his remarks. He gave dubious statistics that fall apart upon scrutiny. And this tripped up Mnuchin with an important senator, Republican Dean Heller of Nevada, one of the worst states for foreclosures. Heller asked how many Nevada loans were in OneWest’s servicing portfolio. Mnuchin didn’t know. He asked how many foreclosures and loan modifications OneWest committed in Nevada. Mnuchin didn’t know. Heller apparently asked this of Mnuchin and his staff seven different times over weeks, and got no answer. Heller asked why Mnuchin and his investors bought OneWest. Mnuchin said it would have been more lucrative to invest in Bank of America. (Not true; the investors doubled their money when OneWest was sold.) Heller keyed in on the FDIC Loss-Share Agreement with OneWest, where the agency committed to backstop losses by the bank. Mnuchin couldn’t give a figure on how much money FDIC paid OneWest. The number is $1.2 billion. “You’re saying $1.2 billion isn’t an incentive to foreclose?” Heller asked. Mnuchin said no, but combined with the normal incentives among servicers to foreclose, this backstop was critical for OneWest. Heller’s tough questioning suggests that he might not be inclined to support Mnuchin. And one senator in the committee could bottle up the nomination. That’s worth watching. On the rest, Mnuchin took standard Trump positions on deregulation (he claimed it was bankrupting community banks, which isn’t true) and tax cuts. He walked back Trump’s comments on needing a weaker dollar, supported Trump (and Democrats) on targeting currency manipulation, and said he’d be the point person on tax reform in the Trump administration. He said he supported the Volcker rule, which prevents proprietary trading in deposit-taking banks, but he cited a Federal Reserve report that it’s diminishing bond market liquidity, another dubious notion. He supported bolstering IRS technology and staff (which would cost money), thinks that corporate earnings repatriated from abroad will be put into investment (not true, it would be put into buy-backs and dividends), and that the Consumer Financial Protection Bureau should be funded out of appropriations (which would allow Congress to gut the agency’s effectiveness). He said he wouldn’t recommend a recapitalization and release of Fannie Mae and Freddie Mac, which would reward his business partner John Paulson, but he did say the government-sponsored mortgage giants needed a fix. These were mostly standard business-Republican positions with a bit of Trump flavoring. We really had no indication of Mnuchin’s views before today, so it’s worth noting. But if you’re looking at Mnuchin’s public record—his business at OneWest and the obfuscations around those practices—it’s hard to see how he has fitness for any public office.